Now in paperback: The first story to feature Curious George, with a historical afterword by Louise Borden. 48 pages. A lonely giraffe with no playmates meets nine monkeys with no home. Can there be a happy ending? Of course there can--one of the monkeys is Curious George!This is the first story to feature Curious George, and when you read it, you'll know why children demanded that Margret and H.A. Rey give him his very own adventures. Enjoy the fun on every page of this playful celebration of imagination and friendship. 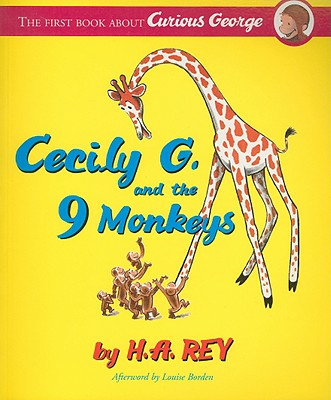 Louise Borden, author of The Journey that Saved Curious George, has written an afterword placing Cecily G. in historical context vis-a-vis the development of Curious George and the Reys' personal journey.